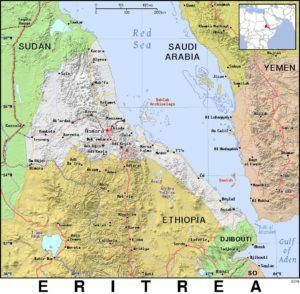 (Mission Network News) — In a virtually unprecedented move, 35 Eritrean Christians have been released from prison. It’s welcome news in the often disheartening story of persecution in Eritrea. Greg Musselman of Voice of the Martyrs Canada says it all started almost two decades ago, when the Eritrean government decided that evangelical Christians could no longer meet without registration. This led to the closing of churches across the country, including a large congregation in the nation’s capital that had 10,000 believing members. Churches attempted to apply for registration, but they were met with rejection. “When they shut these churches down, believers started to meet in their homes. We even heard of some meeting in cemeteries in the middle of the night so they wouldn’t be spotted,” Musselman says. Meanwhile, even evangelical weddings are crashed so the bride and groom can be arrested.